Dr Charles McDonald graduated from the University of Sydney in 1974, and spent the following four years working as resident in various hospitals in Sydney: Royal North Shore, St Margaret’s for Women and Children, and St Vincent’s Hospital in Darlinghurst. Charles did rural surgical training at Hawkesbury Hospital prior to a year of remote procedural general practice in Bowen, North Queensland. Back in the Hawkesbury area during the eighties, he ran a busy family practice in Windsor with a special interest in childbirth, as his own children grew. Finding people more fascinating than disease, he completed a Master of Psychological Medicine from University of NSW in 1993. Charles spent the next 10 years in the field of Psychiatry in Nepean Hospital, and in Psychiatric Outpatients at St Mary’s, as well as being a surgical assistant in Hawkesbury and Nepean Private Hospital. 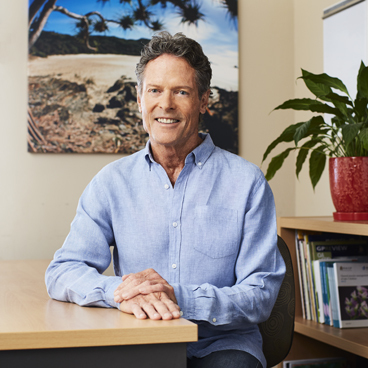 To maintain his surgical connection Charles did surgical assisting in various theatres and joined Tweed Skin Cancer Clinic on moving to Byron Bay in 2004. In 2006 he returned part-time to his old love, general practice, enjoying in particular lifestyle medicine, psychological medicine and skin cancer surgery. Charles then joined Holdsworth House Medical Practice in Byron Bay during August 2008.